They say that everyone seeks Asylum. Well after you try your first Asylum 13 from Christian Eiroa you will be seeking a lot more of these flavor-bombs. The Asylum 13 is like a chocolate brownie of a cigar all wrapped up in juicy Nicarauguan tobacco. This bold cigar is filled with complex flavor and topped off with a hint of sweetness. 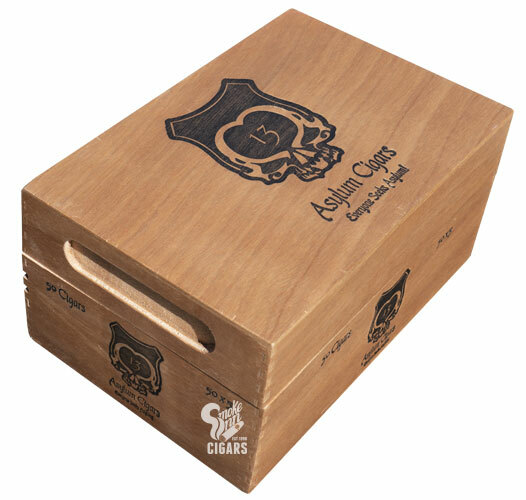 Ayslum 13 comes in some of the largest ring gauges in the industry but it's not just the size that will intrigue you as the Asylum 13 has a warm flavor that will linger on your palette for hours.